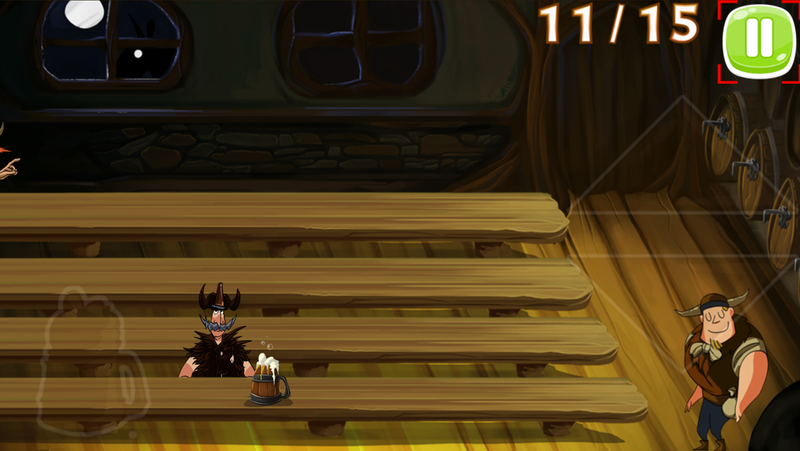 A horde of powerful Vikings invade your tavern and their only purpose is to drink all your beer stock! Quench their thirst before they get impatient. Send the beers and get the glasses when they have finished. Beware, some vikings are more greedy than others. With all these beers, there will be a long queue in the toilet, for sure! Viking Tavern is a game of skill, speed and reflexes. You must distribute beers and avoid errors. You have multiple table to manage, and you must send the beers to the right place.